Comments Off on The Coda Conduct's Kickstarter! The Coda Conduct is Penn State’s contemporary coed A Capella group! They are planning to record their very first single next semester and are launching a Kickstarter campaign to raise the money to cover the costs. They need to raise $1000 by the end of November to make the Kickstarter successful. They are really hoping for the PSU community to help out! I interviewed one of the Co-Founders to get a little more information about it! 1. How did the Coda Conduct start? 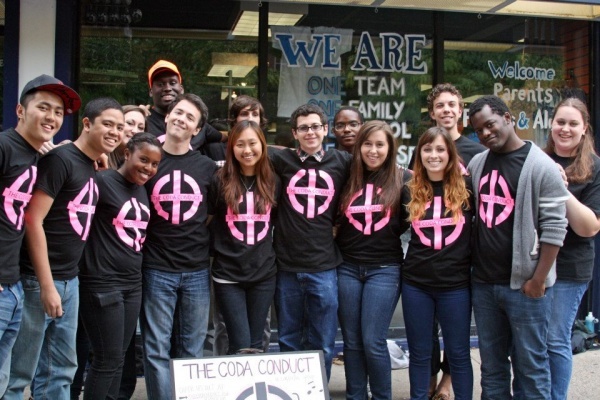 The Coda Conduct was founded over the summer of 2012 by two friends, Ricky Jabarin and Trevor Johnson. 5. How did you get the name Coda Conduct? The Coda Conduct is a pun derived from “The Code of Conduct”. Coda is a musical term for the ending of a musical piece. Here is the link to their Kickstarter! They are an amazing and talented group of singers, make sure you visit their Facebook site and check out the link above to help out!! Bex Premieres Fantastic "What You Are" Video and Trippy "What You Are (Cutmore Extended Remix)" Video! Amsterdam, and Their New Single "Nightlife"